I’m all for turning over a new leaf and updating home decor with the seasons but why in the name of all that’s holy do you have to go bankrupt doing it? Have you been in Crate and Barrel recently? I saw a “decorative pillow” in there that cost $103! WTF? It’s a pillow! Unless it’s filled with Ryan Gosling’s eyelashes, I’m not buying it. Want a reasonable and way more awesome option to buying over priced doodads made in China? Make your friggin own! I love this pattern! Choose any color you need or want to match your home. It’s classic, stylish and just think how much you’ll save on covering the spaghetti stains on your current pillows rather than trying yo replace them! Genius! 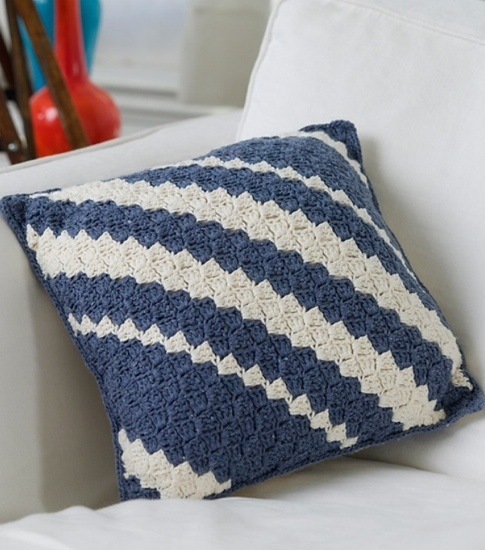 This entry was posted in Uncategorized and tagged arts & crafts, crafts, crochet, decoration, free crochet pattern, handmade, Hobby, home decor, pillow. Bookmark the permalink.